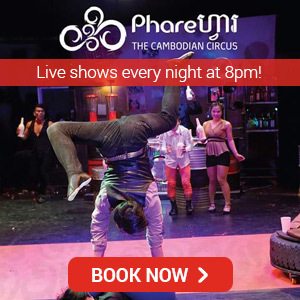 Siem Reap is one of those destinations that needs no further introduction or advertisement. It is so widely known that, naturally, its most famous landmark, the great and ancient temple of Angkor Wat has been crowned as the top landmark by travel website Tripadvisor, beating out other historic sites like the Taj Mahal in India, the Shiekh Zayed Grand Mosque in the UAE, a section of the Great Wall in China and other beautiful places. Angkor Wat is undoubtedly the jewel in the great jungle metropolis, but there are plenty of other fine gems scattered in and around Siem Reap that deserve your attention when traveling here. That’s why we decided to create this list of 10 inspiring Instagram photos that make you want to visit Siem Reap. All of these photographs were featured in our Instagram account @siemreapnet, so make sure to follow us for more travel inspiration! And since we will continue to showcase the best pictures of Siem Reap in the future, don’t forget to hashtag your Instagram pictures with #siemreapnet or @siemreapnet and maybe you’ll be included in our next edition! The iconic and wonderful Angkor Wat – one the main reasons why people flock to Siem Reap. It is estimated that over a million tourists visit this site each year. 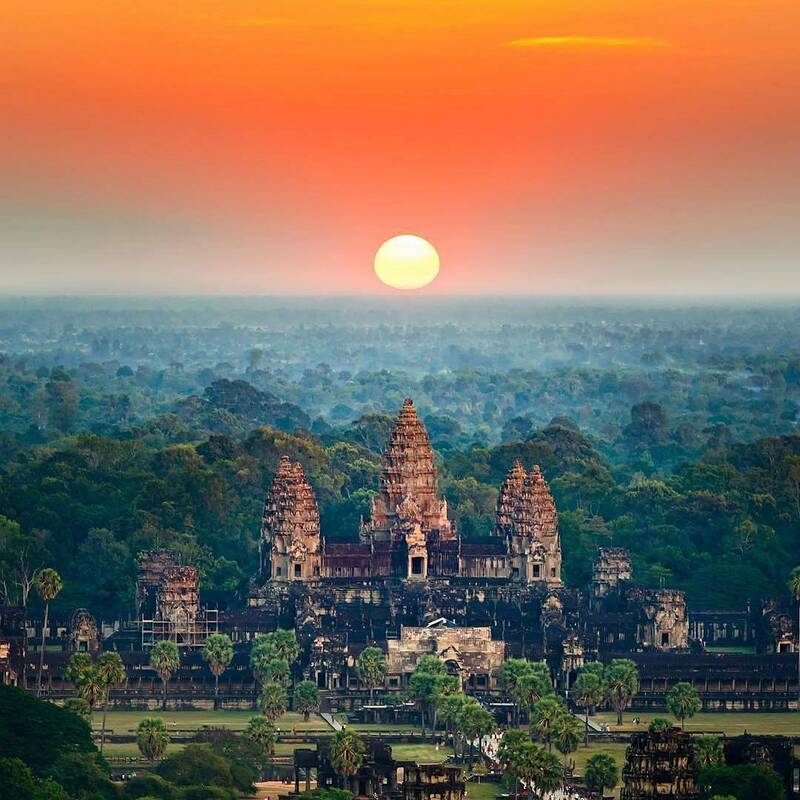 It’s not hard to admire Angkor Wat’s beauty from any angle at any time of the day. 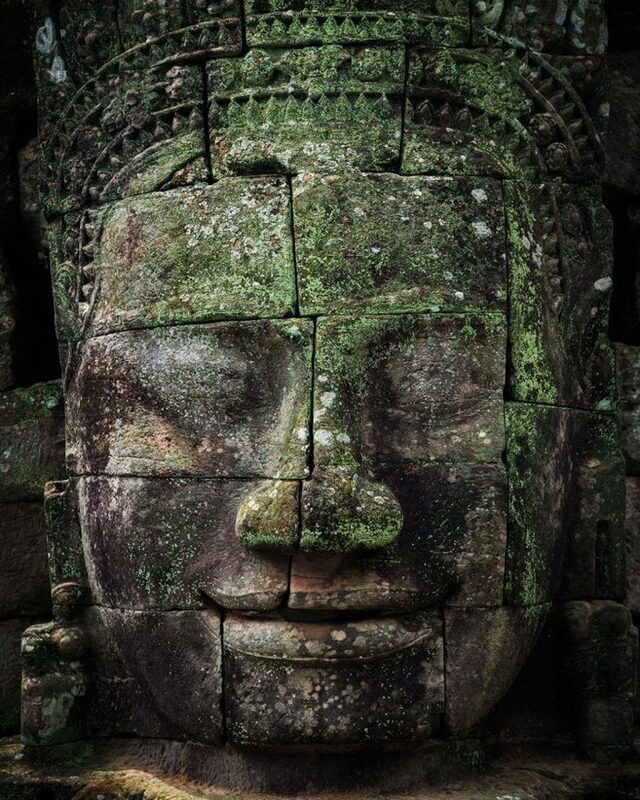 One of the many faces seen in the Bayon Temple at the center of the city of Angkor Thom. Located in close proximity to the Angkor Wat, this is one of the park’s main temples. 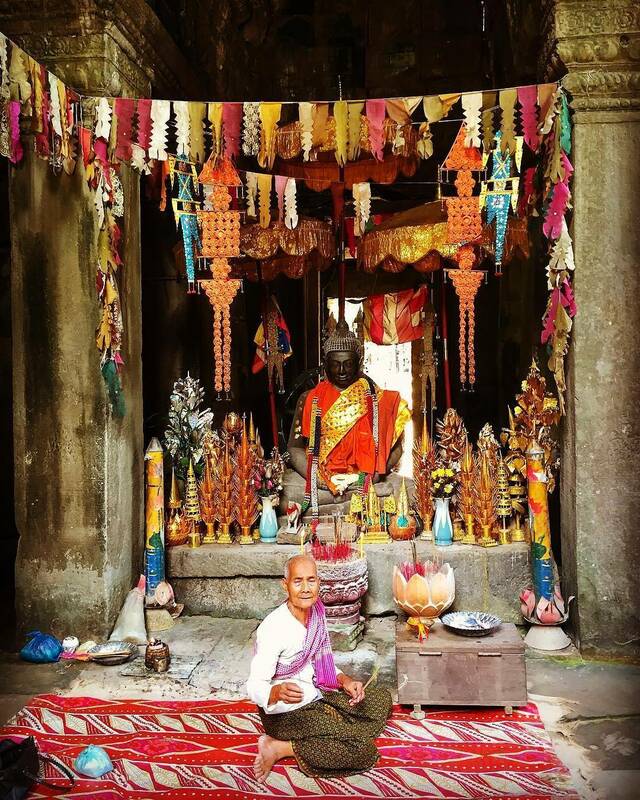 The temples in Angkor are ancient but they are still actively used for Buddhist practices and ceremonies. 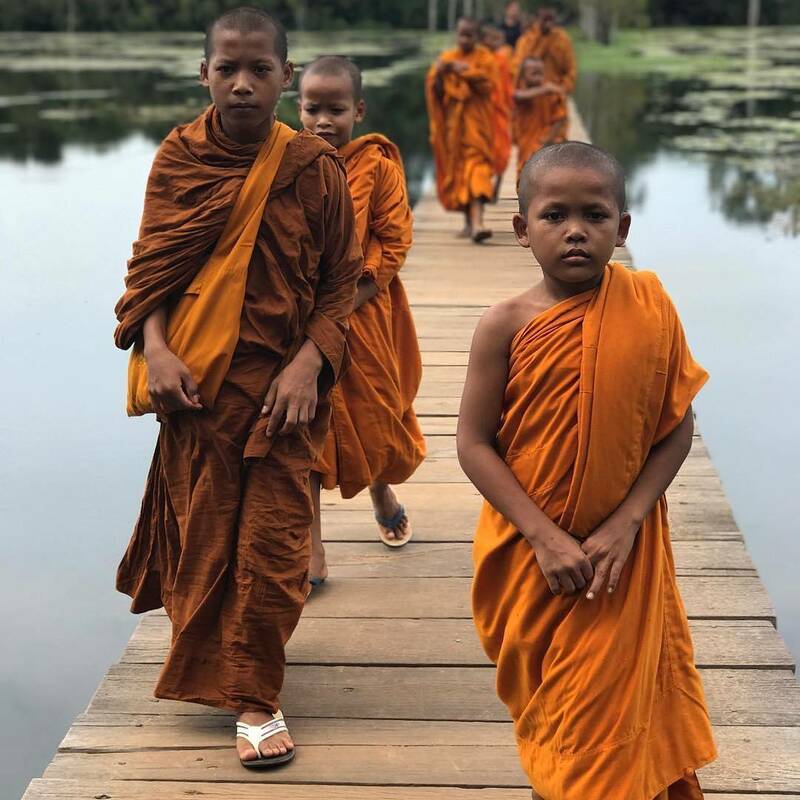 These novice monks are making their way to Neak Pean, an Angkorian Bhuddist temple on an artificial island. 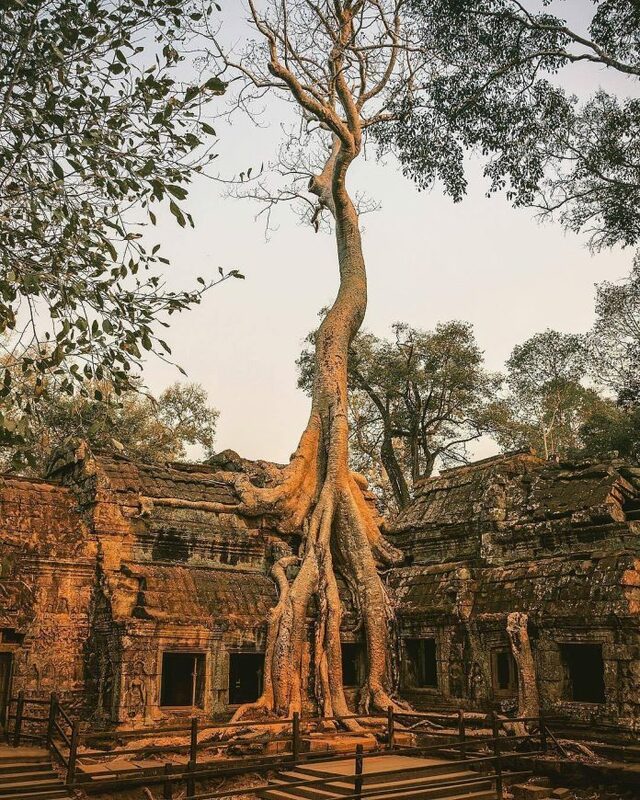 Ta Prohm and Tomb Raider will be associated with each other for a long time as Angelina Jolie’s 2001 adventure flick brought a lot of attention to this temple that nature has beautifully swallowed. Peaceful and quiet, Banteay Kdei is what one could call a hidden gem that isn’t part of the usual tourist itinerary. Which is good for those who want to admire the serenity of this site. 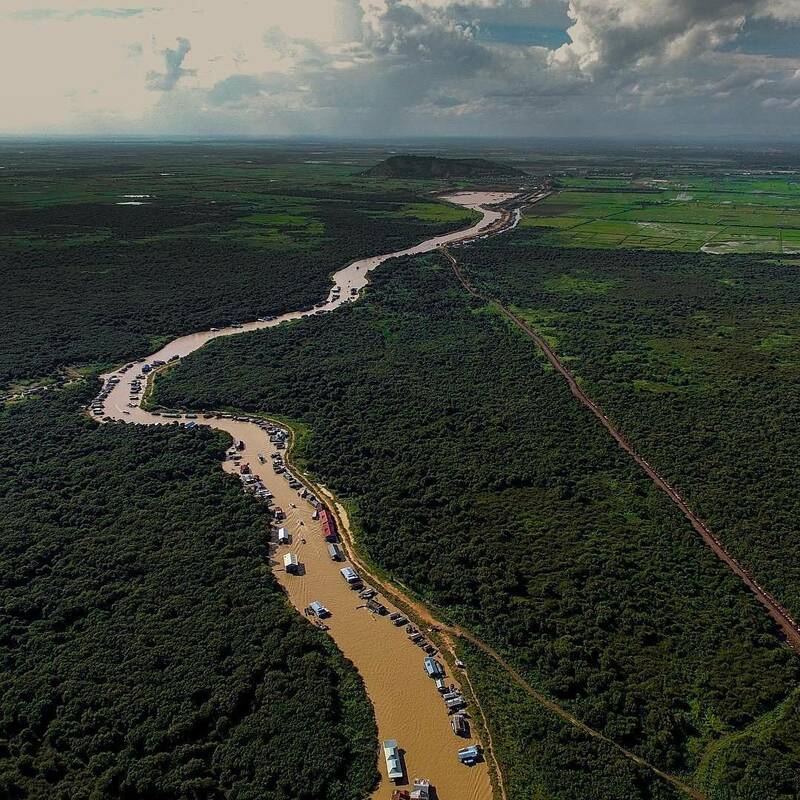 The great lake of Tonle Sap is a source of life for a good number of people living in Siem Reap. There is a sizable community there that fishes and farms in and around the river, taking advantage of its beauty and biodiversity. Picturesque landscape surrounding the lake. 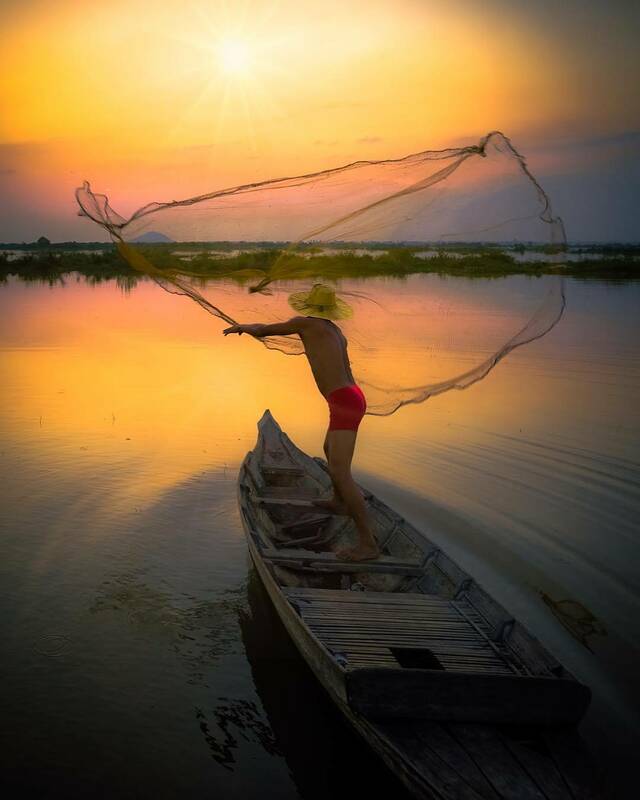 Tonle Sap is the largest fresh water lake in South East Asia. It gives food to more than 3 million people. One should not dismiss the town of Siem Reap as just a layover or passageway to Angkor. It is an amazing place with a diverse number of people, activities, hotels, restaurants and markets. One should explore this town as much as the temples themselves. 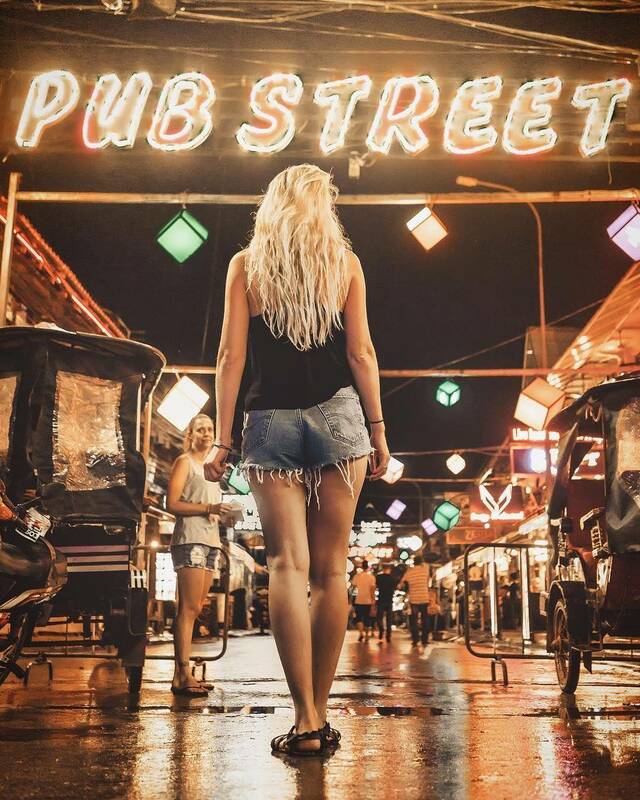 Pub Street, much like Angkor Wat, it needs no further introduction. It is both famous and infamous and houses a lot of the action that happens around town. A vast majority of people flock to this street to experience happy hour, which apparently means all-day. It is highly recommended that tourists check out the local flavor. 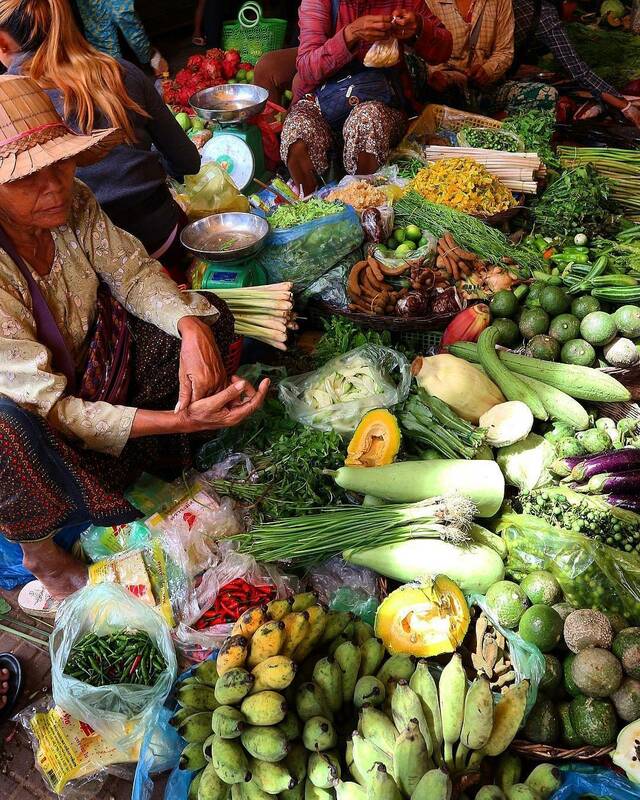 And nothing gets more local than to visit the local markets. The town has a few and all of them colorful and interesting. 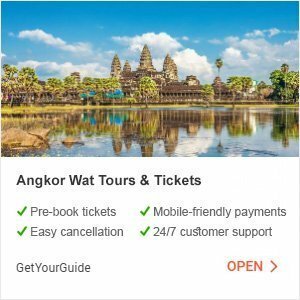 If you are planning on visiting Siem Reap and the temples of Angkor, do check out our handy and detailed guide to the temples which includes transportation, visiting hours and rates, dress codes, suggested itineraries and even specific info about the temples. There are also various activities that one could do around town: assorted markets, local events, workshops, cultural dances, day-trips, cooking classes and the like are in our See & Do section. 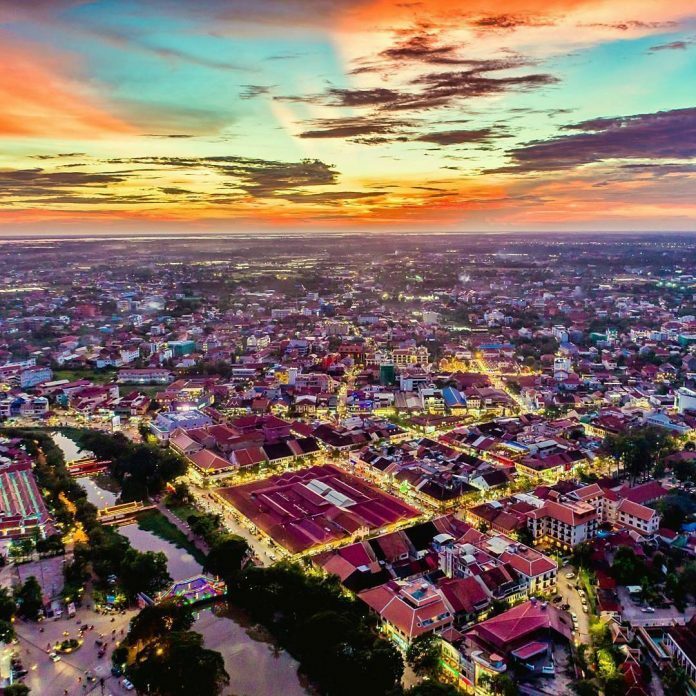 For the basics, do check out our digested version of a brief introduction to the wonderful world of Siem Reap. And of course, make sure to follow our Instagram feed @siemreapnet for more inspiring pictures of Siem Reap by travelers and locals alike. See you soon with more inspiring Instagram photos that will make you fall in love with Siem Reap! Which is your favorite picture from the list above? Let us know in the comments!